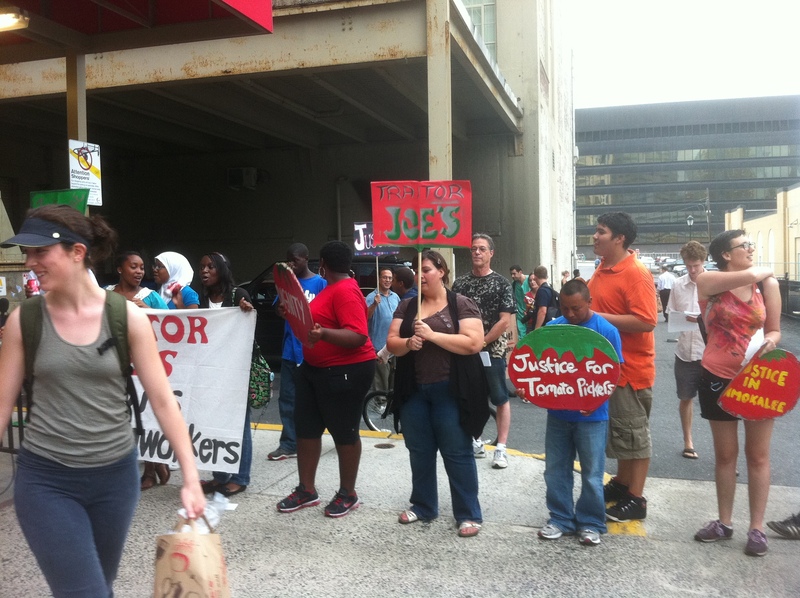 WHY WON’T TRADER JOE’S SIGN AN AGREEMENT NOT TO SELL SLAVE LABOR TOMATOES? The company’s letter passes responsibility onto its wholesalers, who buy tomatoes from growers and sell them to Trader Joe’s (and have less to fear from public embarrassment). In a point-by-point rebuttal to the letter, CIW retorts that “Apparently, Trader Joe’s is better at innuendo than math.” CIW notes that when it began discussions with the wholesalers — several separate competing companies — the wholesalers said they needed to talk to Trader Joe’s before moving forward, but then stopped returning CIW’s calls. My piece also shares reports from tomato growers who’ve worked in Florida’s fields before and after their employers entered Fair Food agreements. Check it out. This entry was tagged activism, CIW, consumers, labor, Trader Joe's. Bookmark the permalink.